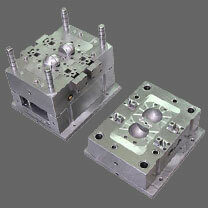 The air trapped in the mold cavity must be able to escape during injection molding process, if the vents are insufficient, the air will be compressed in the cavity, the pressure and temperature will rise quickly, potentially causing incomplete filling or even burning of the plastic. The number of vents if often limited by mold construction economics but ideally should be taken into consideration during mold design, in general the higher the viscosity of a material the lager the vents dimensions. As with gates vents should be cut "steel safe". Start at the minimum dimension and open the vent up gradually until the optimum molding is achieved. Too small and the vent will clog up and reduce or eliminate the ability to expel air from the mold cavity; too large and flash may be seen on the moldings. 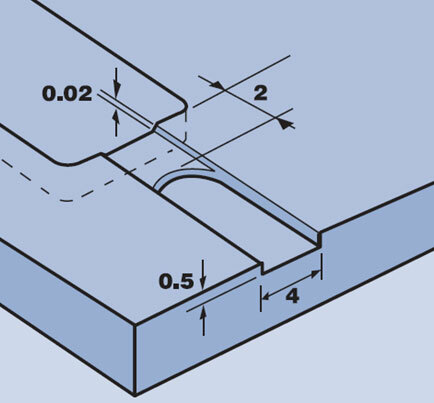 Vents can be placed anywhere along the parting line in particular they should be located in areas that are the last to fill in particular section of the injection mold. A reasonable spacing is every 25mm, if the air is trapped with no way out to the injection mold parting line, it is advisable to place a venting pin/ejector pin to permit the air escape through the clearance between pin and hole. Another option is to use sintered metal inserts, these inserts allow gas to pass into them without clogging up with the polymer. These inserts should only be used as a last resort and only on nonvisual surfaces.